After preparing my speech for entrepreneurs at La Cantine, a remarkable coworking space in Paris, I ended my trip to Europe reading Proust’s Overcoat, a 124 page lovely book by Italian journalist Lorenza Foschini published in Italy in 2008, and this year in the United States. It is well translated by painter and writer Eric Karpeles. The book is the description of the obsession of a highly literate entrepreneur, Jacques Guérin (1902-2000), the son of an amazing, non-conformist woman-entrepreneur Jeanne-Louise Guérin, who after separating from her husband in 1900 (a daring move at the time) became a very successful business woman. 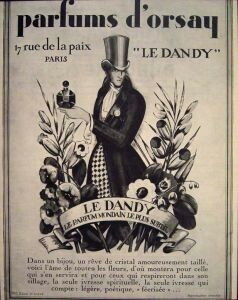 She raised capital from Theophile Bader (co-founder of the Galeries Lafayette) to revive and turn around a famous brand name in the perfumery industry, the Parfums d’Orsay, named after one of the most famous dandies of the romantic area, Alfred d’Orsay (1801-1852), and produced some of the Art Deco perfumery blockbusters, such as Le Dandy. She bought out all the investors in 1936 and appointed her son Jacques, who had studied chemistry, as the general manager. His passion for literature and avant-garde artists were a driving force, and even led him to create Divine in 1947, inspired by a drag queen in Jean Genet’s Our Lady of the Flowers (incidentally, I doubt that the ladies who bought the fragrance ever read the story). Guérin was an insatiable collector with an acute sense of what was worth collecting and had a passion of all things Proust. 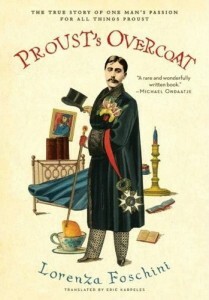 He has been exposed to the Proust family when he fell ill: Marcel Proust’s brother, Robert Proust, a doctor, like their father, Adrian Proust, has been called to his bedside because of an appendicitis for which he was operated. A few weeks later, to thank the famous surgeon, Guérin paid a visit to Robert Proust’s and got a peek at a place that had turned as a Marcel Proust’s sanctuary. The brothers were not that close, but Robert had kept most of his brother’s belongings after his death in 1922. Family honor obliging. When Robert Proust died in 1935, his widow Marthe Dubois-Amiot, who had harbored a ruthless hatred for anything Proust, was determined to destroy by fire all Proust memorabilia; however, overwhelmed by the immensity of the task, she ended up asking a Mr. Werner to send piles of paper to an antique bookshop rue du Faubourg Saint-Honoré, across from Hermès, and find buyers for pieces of furniture she abhorred – such as Proust’s bed from the age of 16 until his death. Guérin chanced by this place – that he had never noticed before ‑ a few minutes later and bought invaluable manuscripts, letters and photographs, putting pressure on the capricious Mr. Werner to know if there was more to buy, the latter seeming to somewhat sadistically enjoy his power over the brilliant amateur. Lorenza Foschini’s book reads like a thriller-reportage, and it is amazing to find out how the most famous overcoat in French literature and Proust’s shield against both sun and rain ended up resisting the wrath of a sister-in-law, the waters of the Marne river, and the appetite of moths. It all started when Lorenza interviewed Visconti’s famous costume designer Piero Tosi for a television program. He had met dozens of people who had been in one way or the other associated directly or indirectly with Proust as Visconti had had the impossible project of creating a film adaptation of In Search of Lost Time. But the story of this overcoat could definitely be the subject of an interesting camp movie. An exquisite little book whether you have read “Remembrance of Things Past” or not. Charming and evocative.